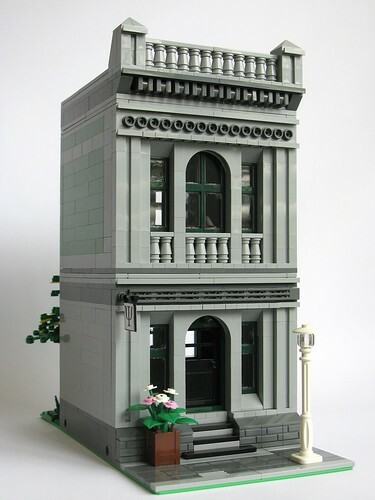 Brick Town Talk: Psi of Relief - LEGO Town, Architecture, Building Tips, Inspiration Ideas, and more! Neuro Alley - (BTT) Besides the odd couch-jumping actor, I think we can all agree that mental health is as important as physical health, and those who dedicate their lives to the field are certainly worthy of respect. They are also worthy of having a great building in which to practice, and the doctor in this psychiatrist office has just that. The palette might be simple - mostly grey with just a tasteful touch of green - but the detailing is anything but. On the first floor is the receptionist, while upstairs is the actual office with a rather angry athlete currently taking his spot on the couch.